Join fellow memorizers at a Scriptorium—a Scripture recital event. An organizer selects a book (such as Matthew) or a collection of passages (such as Paul’s epistles). Then, individual memorizers or families sign up for a chapter. On the day of the event, everyone gathers at the host church for fellowship and edification as each one recites the Word hidden in their hearts. 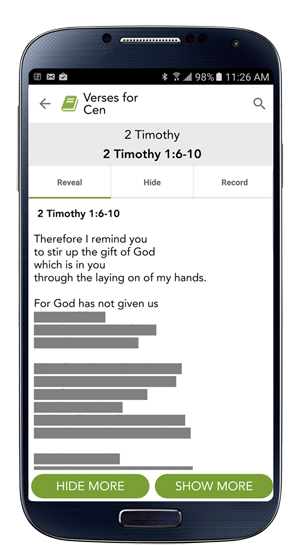 The sequential collection of spoken Scripture is a joy for the memorizers and listeners alike. Visit scriptoriums.com for other locations, past event videos, additional information, and registration. Contact us for help starting up your own Scriptorium!